To raise awareness for traditional American music and culture and show its true values. To improve the image of Americans in the world, through the music and poetry of its people. The cowboys and Indians are the symbol of free spirit and hard work. They are working the land, breading the cattle and live close to nature. Late in the evening, when their work is done, they sit down around the fire and write poetry and music. It is romantic, tells their stories and represents true, family values. It is our mission to let the world know about it and to spread it around the world. To improve the image of America through its music, poetry, traditions and culture as a whole. To organize concerts, festivals and cultural events with authentic American music and atmosphere, so that Bulgarian could get to know it. Music is the most natural way to build a bridge between two cultures. The second Sofia Singer Songwriter Fest to gather poets from all over the world! 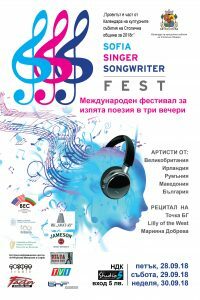 From September 28th to 30th, Sofia will host the international Sofia Singer Songwriter Fest for the second time. The event will be held at the National Palace of Culture, on the Club Studio 5 stage, at 18:00 h. Fans of acoustic music and poetry will have the chance to hear masterly performers from the United Kingdom, the Republic of Ireland, Romania, Macedonia and Bulgaria. Among the guests are Steve Lowis (the UK), a talented alternative rock singer and composer, Shane O’Fearghail (the Republic of Ireland), a gentle ballad vocalist with a similarity to Ed Sheeran, Maria Gheorghiu (Romania), a legendary vocalist and composer with a long career – the Romanian Joan Baez, Jovica Ilic (Macedonia), a lyrical singer and poet, chairman of the Writers’ Union and Chris McArter (the United Kingdom), an impressive blues rock musician. Some of the Bulgarian participants are the young blues rock singer Svilena Teneva, the talented blues and cabaret star Gergana Dobreva, the gentle singer and violinist Boyana Zhelyazkova, the vocalist and composer of the funk band Indigo Kids – Yavor Velchev, the charming singer Michelle Mandela, the lyrical rock singer Gabriela Rizova, the vocalist of rock band Atlas, Georgi Arsov, the Plovdiv singer and guitarist – the reality star Radoslav Mihov and young alternative rock singer Raja El Mad. The winner will be chosen by a three-member panel of judges: Algirdas Klova (Lithuania), a leading name on the Lithuanian music stage and the organizer of the prestigious Thai Ash Festival in Villenews, Plamen Sivov, a singer and composer in the band Tochka BG, and Vasil Gromkov, a writer, music journalist and DJ. The artists will perform two songs each over three evenings. Recitals will be given by two of Bulgaria’s most successful acoustic bands, Tochka BG and Lilly of the West, as well as by last year’s winner – rock singer Mariana Dobreva. The after-party will be held at the SOHO Club at 21.00 h, where the artists will have recitals. A true celebration for fans of acoustic music and sung poetry! The festival is organized to celebrate the International Music and Poetry Day, October 1, and is one of the cultural events planned by Sofia Municipality for 2018. It is also supported by the embassies of the Republic of Ireland, Hungary, Romania, Macedonia and the Bulgarian Entrepreneurship Center foundation. What do you know about the Wild West? You have probably seen many western movies and have read the novels and adventures stories about cowboys and Indians crossing the land. Do you know what a cowboy does? You think of him as the handsome guy, dressed with jeans, boots and hat, riding a horse and shooting fast with a gun? Wrong! The cowboy’s life is something completely different. He is a hard working man, raising cattle and writing poetry and music. Many are intelligent and romantic. 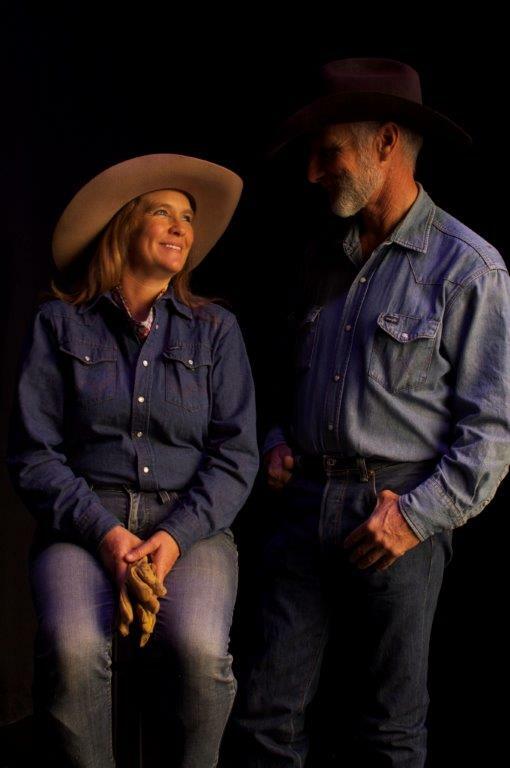 A lot of cowboys are well educated in land management and animal husbandry. Some would call it a tough life but it’s a joy for a true cowboy. Experience the songs and poems inspired from living on the land. How much do you know about the Native Americans? You picture them wearing feathers, bow and arrows and chasing buffalos? This may be right, but there are many things you don’t know about them. The Indians have an interesting culture, full of mystical tales. They know a lot about medicine and love animals. Native Americans are known to have inhabited North America 13,000 years ago. Get glimpses of the character behind these thought provoking poems. Tales from many moons ago. Experience the mystery of the Crow language. Are you familiar with American music? Surely you are! You have listened to rock and roll, blues, jazz, soul, hip hop or rap. But you haven’t heard this! A unique country-folk duo from San Francisco, which sounds just like Simon & Garfunkel, but better and fresher! 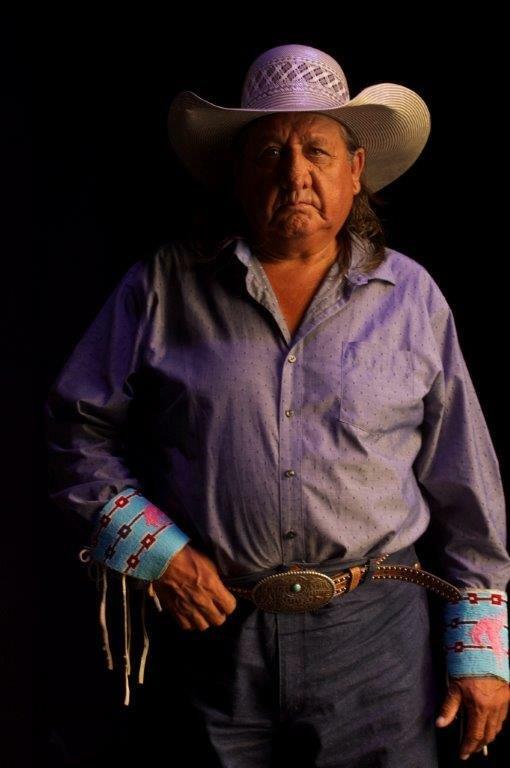 “Cowboys & Indians – in song & verse, is a unique American show featuring real Native Americans from the Crow tribe in Montana, authentic ranch cowboys from Arizona and a country-folk music duo from California. An evening of poetry, storytelling and music. The First Edition of Sofia Singer Songwriter Fest in 2017 was a huge success! The concerts were recorded by Bulgarian national TV and radio and were streamed live on the internet. Each artist had fifteen minutes to perform three original songs. A panel of three judges was responsible for the evaluation of the performances: music, lyrics, vocal and instrumental skills and stage prescence. 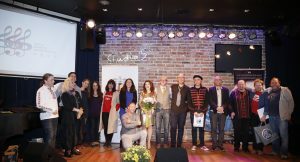 Among the judges were Miodrag Jaksic (poet, festival director and publisher from Belgrade), Vasil Gromkov (poet and journalist at Bulgarian national television in Sofia) and Plamen Sivov (poet, musician and founder of Bulgarian vocal group Tochka BG). All in all, a fantastic gathering of musicians and poets from all over the world and a true celebration for acoustic music and poetry. ‘What an amazing festival. It is top 3 in Europe’, says Miodrag Jaksic form Belgrade, chairman of the jury. ‘It took me three years to reach this high level’, shares Vedran Ivorec from Croatia, organizer of Exposure festival, Velika Gorica. Should you would like to participate in the next edition, please send a short biography, a photo and a link with your performance to lilly@techno-link.com . The festival team will review your application and will contact you. All the best and see you at Sofia Singer Songwriter Fest!